I paid £395 for my collector's copy and to me it was worth every penny. 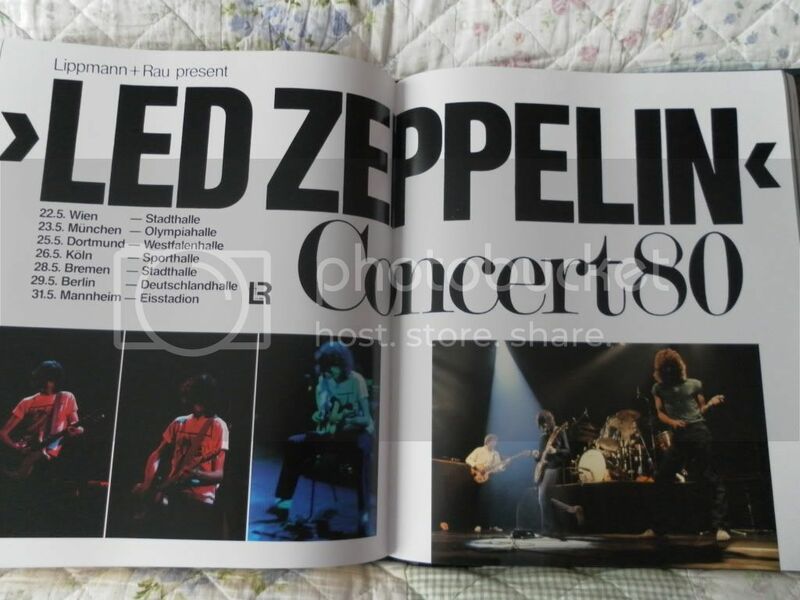 Well, that sure is a lot, oh well, I got Led Zeppelin: The Concert File which is a very good book also. 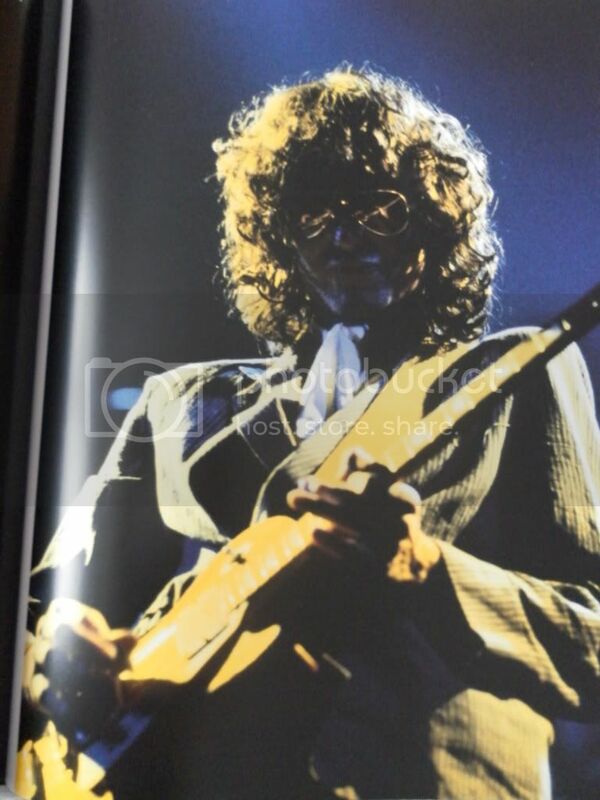 A BIG thank you to everyone who have shared the photos from the book! It´s an incredible help for those of us who didn´t order it in time or couldn´t afford it! Thank you! Thank you for posting this! I would never have seen this brilliant book otherwise. 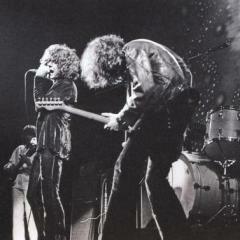 Are there any photos from Led Zeppelin's last show(s) in 1980? Yes, there are a couple. I'm very busy at the moment with work, but I'll try and photograph them over the weekend, and I'll post them on here for you sometime next week. Ahh, fabulous. No hurry, and thanks again! Leah here are the photos from the 1980 European Tour as promised. Thanks to all for posting, esp. MFTA! I particularly liked this one. 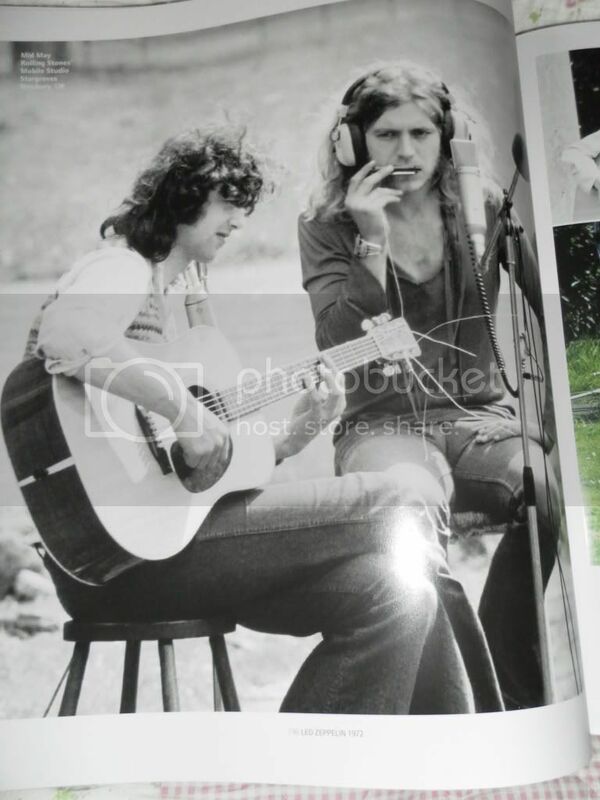 Looks like they might be recording Black Country Woman - is there any more accompanying text? Yes, this was when they were recording BCW (and the airplane flew overhead). All the photos are wonderful, particularly this one. Thanks a lot. Recently I heard from one of my cyber friends who's close friend is working at GENESIS that Charlotte also cooperated with Jimmy on this book. 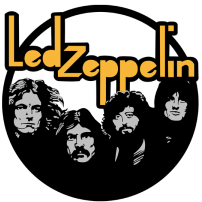 As I recall Jimmy said in an interview when he came to Japan on January 2008 that he didn't remember at all what he was doing during Zep's second Japan tour in 1972.It's guessed he might have lost some of his memories especially from the 70's. This just might be my favorite current thread. I love all of these pictures. It's great to see pictures that I have never seen before. I wish I had an obscene amount of money to get this book. I guess these images on here will have to do. Thanks for posting the images. It's a great service you are doing all of us who don't have the book. Incredible pictures. Many thanks to those who have posted here!! dayum!i love the second picture. gracias por postear!! 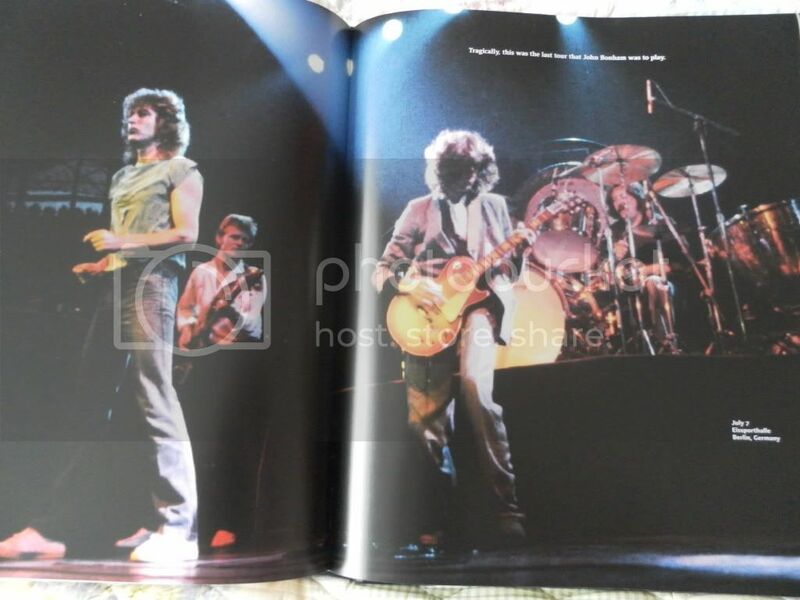 That pic is not from the last show as it says on the photo but from the next to last show on the 1980 European tour. That pic is actually from Munich 7-5-80. Bonzo wore a yellow long sleeve shirt at the last show in Berlin 7-7-80. 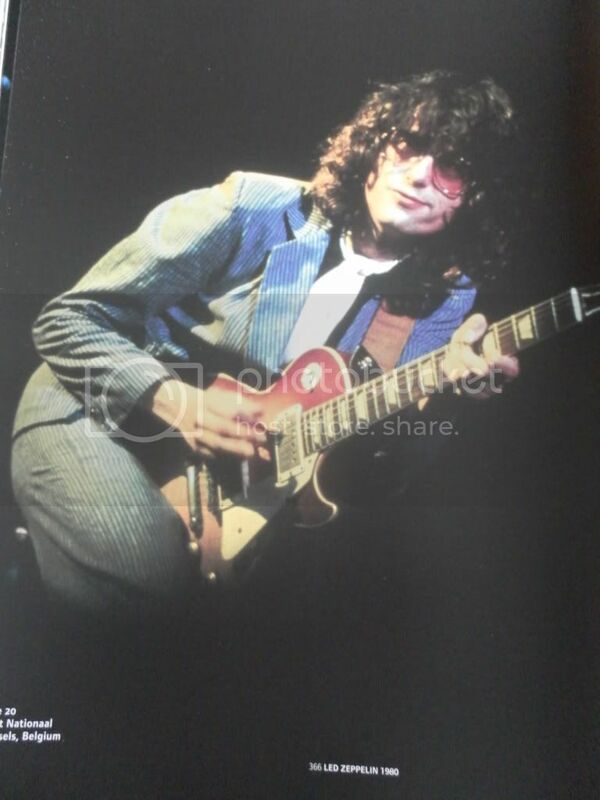 This is a photo from Berlin 7-7-80. I just want to say thank you to all those who posted these cool pictures! I noticed by the end of the 1980 tour Bonzo had shaved his beard off, only had the mustache like he did in the beginning in 1968. He still had a full beard when the tour kicked off though. Pagey looks like Richard Ramirez from the courtroom footage when he's wearing aviators. I think it is early than that, I found the pic in a magazine in july 1981, I have a feeling it might have been taken in 1980. When did the the guitar become available ? 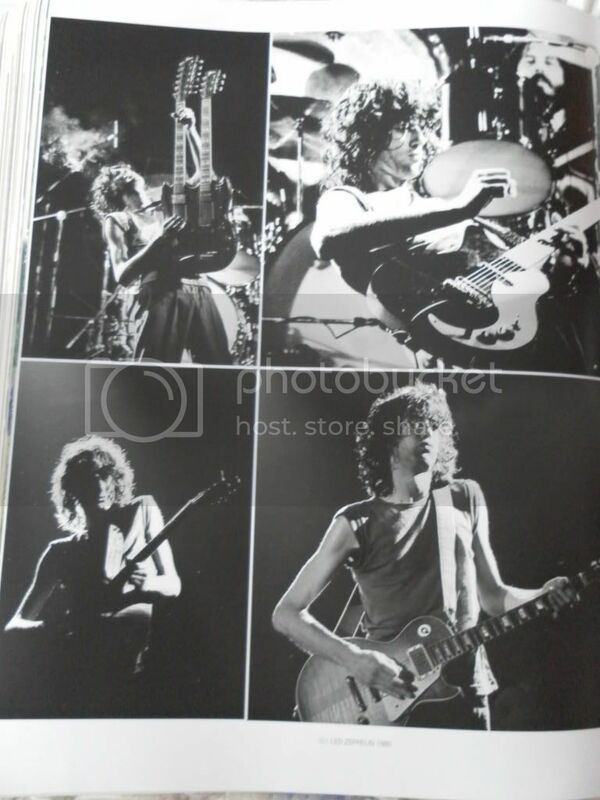 Fantastic pictures of the 1980 tour! 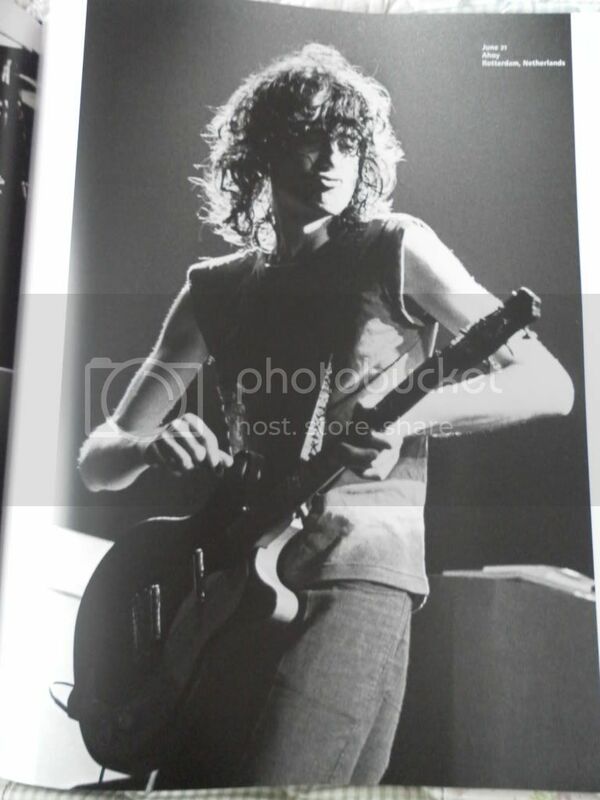 Would anyone be willing to post a few photos of Jimmy from the post Zeppelin through 1984 period? Through 1985 It's not every page, but its a lot of it.